The Invacare Manual Hospital / Homecare Bed is one of the best and most affordable manual hospital beds online, and with its durable, low-maintenance design, you can't go wrong! 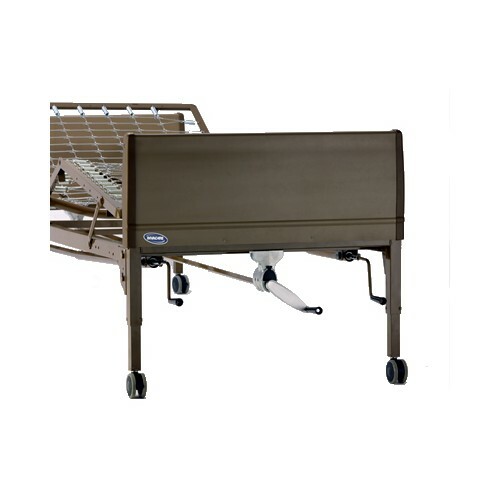 Featuring high-impact bed end panels that are scratch and impact resistant and an easy-to-use manual crank, the Invacare Manual Bed is easy to set up, use, clean and maintain. 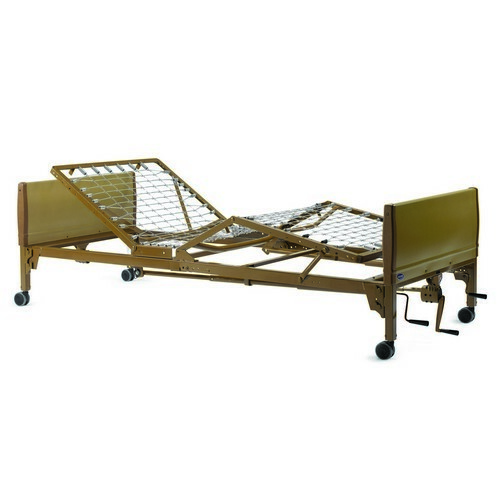 This homecare bed is height adjustable so you can adjust the bed as required for patient and caregiver needs, with a height range of 15 inches to 23 inches. Plus, keep your patient safe and secure with rubber treading on the casters.